Ex: I’m sorry I forgot your birthday. I thought it was fake news. In the media, on the internet, and especially in the White House, fake news is real. While repeatedly accusing the press of reporting false news, Donald Trump has allegedly lied about the margin of his electoral victory, his relationship with Russia, and (most importantly) the size of his hands. Orgasms: It was really great, we swear. We’ll call you. Art: We replaced a Picasso with a fake painted by our dog. No one has noticed. Breasts: We just need something real to believe in. 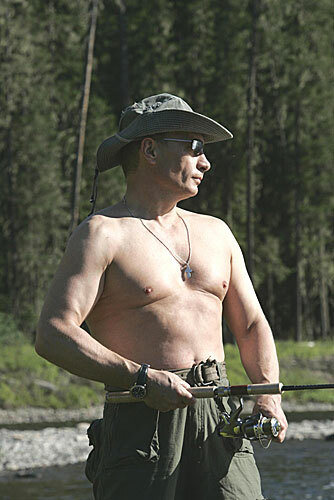 Russia’s leader has been in power for more than 16 years. A reality television star is now president of the US. An extreme right candidate currently leads French presidential polls. Reminder: Don’t believe everything you read on the Internet!